Lee Daniels’ long-in-the-works biopic of comedian Richard Pryor seems like it’s finally ready to get underway, with The Weinstein Company indicating that it’s about to give the film the green light, and the movie’s long-contested casting finally confirmed. As announced more than a year ago, Survivor’s Remorse star and stand-up comic Mike Epps will play the iconic comedian, who rose from an abusive childhood to international fame and success (also drug-addiction, self-destructive behavior, and numerous contentious relationships with women, but we’ll let Daniels handle those uglier details in due course). The most interesting casting, though, might be for the part of Pryor’s stern grandmother, Marie Carter, who ran the Peoria, Illinois, brothel where he spent his childhood. Daniels has tapped his old The Butler star Oprah Winfrey for the role, meaning Oprah fans finally get to see her whip out the “retired prostitute grandmother” character they’ve always known was lurking in her back pocket. 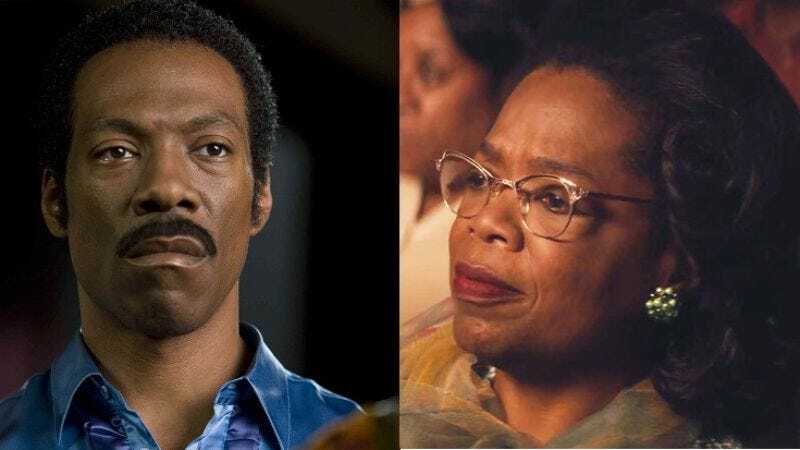 Winfrey is notably picky about her film roles—she last showed up on movie screens in last year’s civil rights drama Selma—so her participation in the movie is presumably down to her relationship with Daniels, or possibly her interest in Pryor’s story. Daniels is set to begin filming in March, after he wraps up the second season of Empire for Fox. He’ll be working from a script by Bill Condon and his frequent collaborator, Danny Strong.